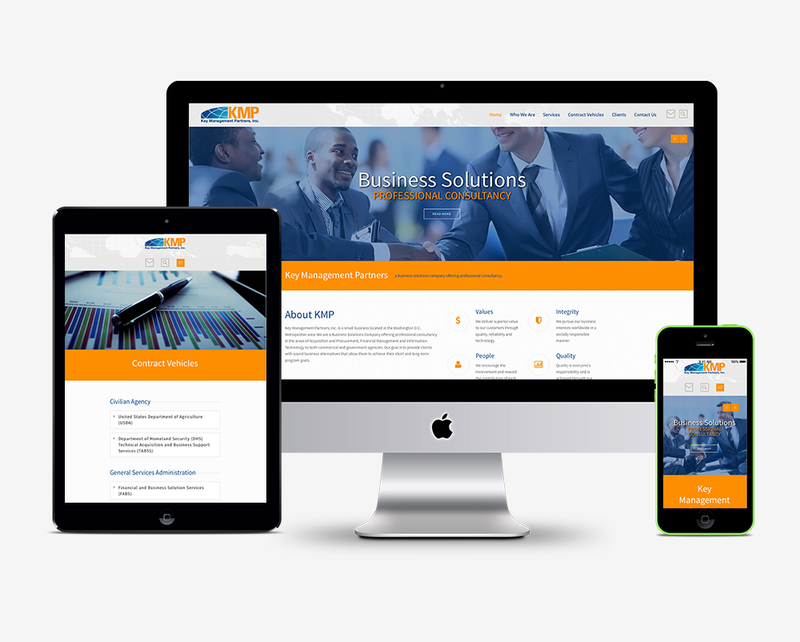 Key Management Partners is a Business Solutions Company offering professional consultancy in the areas of Acquisition and Procurement, Financial Management and Information Technology to both commercial and government agencies. 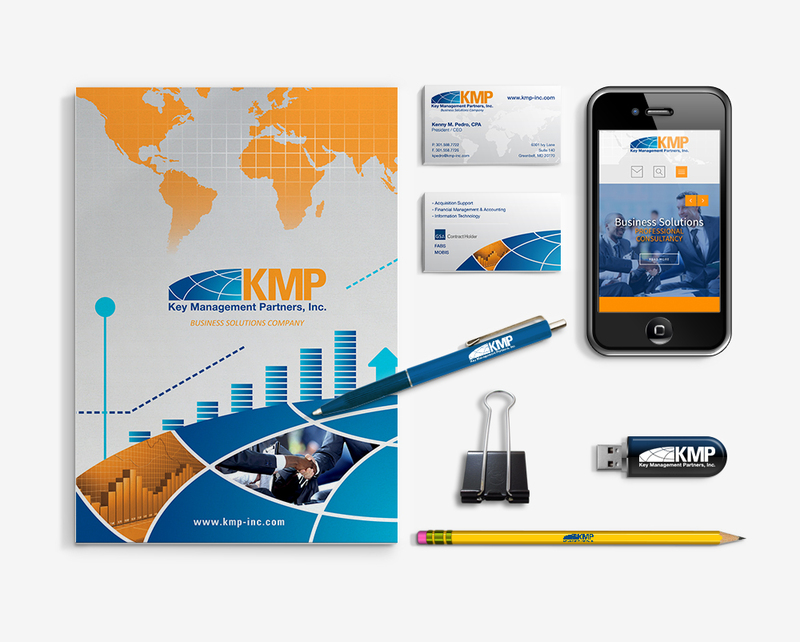 When KMP approached us, they were ready to trade their branding in for a new, fresh brand that represented the companies they serve. Although, they knew a change was necessary, they didn’t want to completely lose the look of their logo. 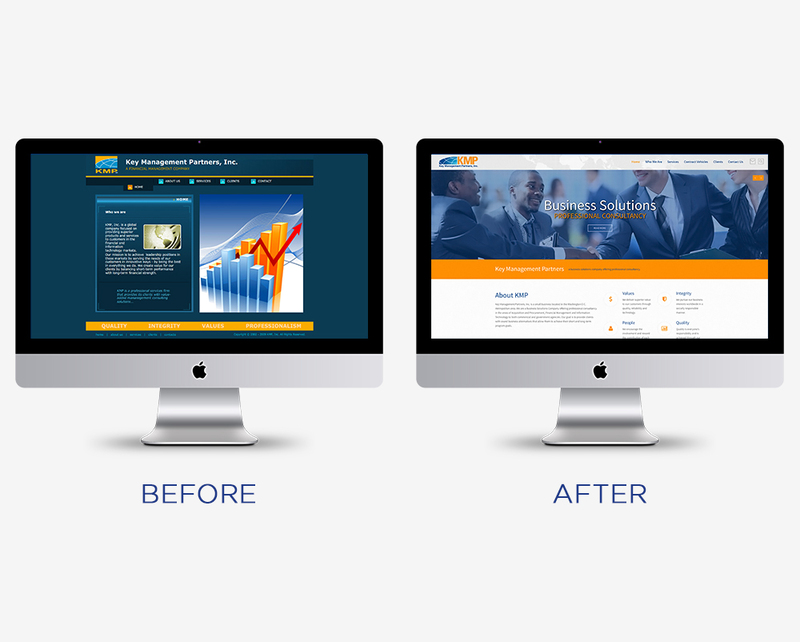 What we created was a logo refresh and a modern corporate identity. 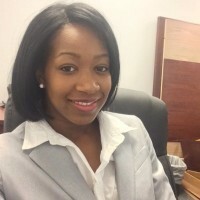 – Adenike A. Pedro, Business Development Specialist, Key Management Partners, Inc.